Pets need good nutrition to stay healthy and active, just like you do. In fact, the food you give your pet has a direct impact on longevity and quality of life. It's not always easy to know what the right nutrition is for your pet at any given time so the following are some tips and facts to help you make the best decisions for your dog or cat. With help from our San Diego veterinarian and the team at Tierrasanta Veterinary Hospital, we can help make sure your pet gets the proper nutrition it needs at every stage of life. What works for your adult dog isn't going to work for your puppy or kitten, and it won't work for your senior dog, either. Each stage of life has specific nutritional, digestive and caloric needs and it's important that they receive the right foods at the right time. Puppies and kittens need food that is suitable for their young and sensitive digestive system, and has the appropriate levels of proteins and fats as they are growing so quickly at this stage. Adult dogs typically require foods that provide the nutrients they need to maintain their energy levels and keep their coats healthy. As your pet moves into old age, he doesn't need as many calories, but does need more protein and fiber. 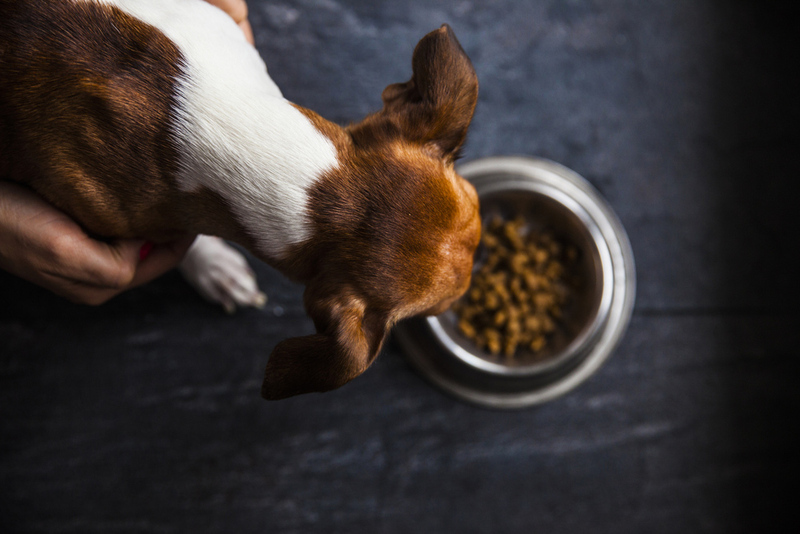 Older dogs and cats are prone to urinary tract infections and disease, obesity and other problems, so it is important to feed them the right foods in the right amounts. The best pet foods at this stage are those that are specifically designed for senior dogs. Pets at any age may develop dietary needs. A common problem is obesity. This can occur at any age, but is more prevalent among older pets. Contrary to what many people believe, spaying and neutering does not cause obesity. It's the result of too many calories and not enough exercise. It's important also to read dog food nutrition facts because many commercial pet foods are high in fillers that pack on weight. Our veterinarian can recommend pet foods that are ideal for your overweight pet. This is important because obesity can lead to a variety of other health problems, such as diabetes, and can put unnecessary stress on joints. Another common special need is pet allergies. Your dog or cat may become allergic to ingredients in their pet food and require a new pet food. If you have questions about your pet's nutritional needs, contact our Tierrasanta vet to learn more. The team at Tierrasanta Veterinary Hospital will sit down with you and evaluate your pet's current health needs and help you determine the best pet food and the right amount to feed your pet. Call us today at 858-292-6116.